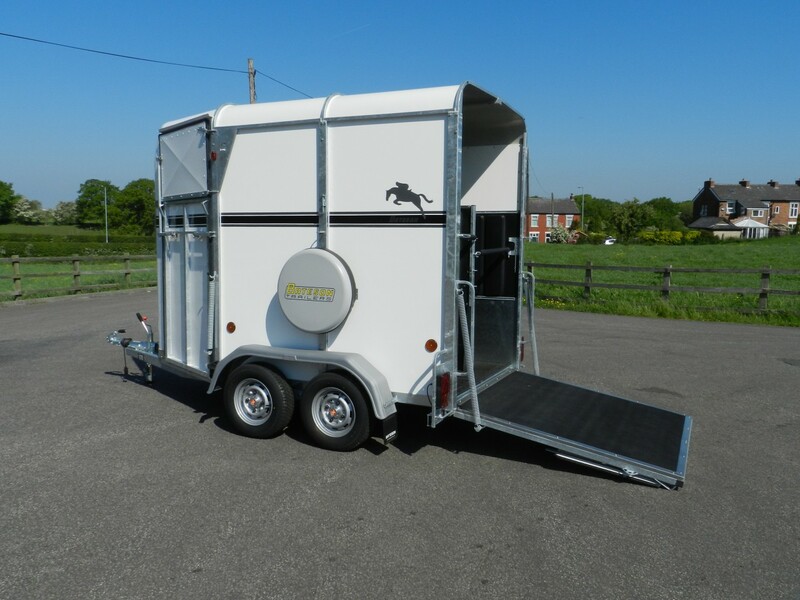 New 55HB horse trailers, 2018 stock, one with a blue stripe and one with black, Full spec with a saddle rack and rot proof floor. available now with an EU certificate of conformity. 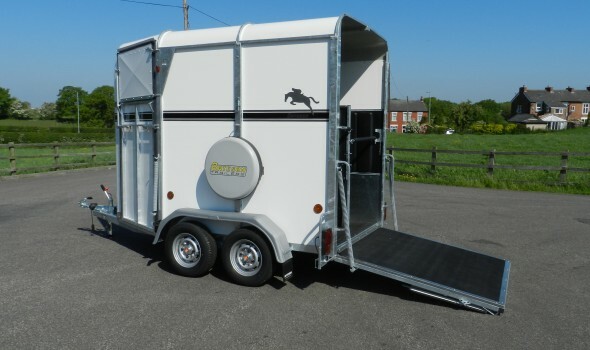 Bateson Trailers © 2012. All Rights Reserved. Bateson Trailers © 2019. All Rights Reserved.